Cochlear is a medical device company that designs, manufactures and supplies the Nucleus cochlear implant, the Hybrid electro-acoustic implant and the Baha bone conduction implant. Based in Sydney, Cochlear was formed in 1981 with finance from the Australian government to commercialise the implants pioneered by Dr Graeme Clark. Today, the company holds over two-thirds of the worldwide hearing implant market, with more than 250,000 people receiving one of Cochlear's implants since 1982. Cochlear was named Australia's most innovative company in 2002 and 2003, and one of the world's most innovative companies by Forbes in 2011. Cochlear wanted to introduce a Design Thinking mindset to problem solving to the Talent Development team. They engaged Collective Campus to upskill the team in Design Thinking, including the tools required to apply it to improve employee experience. - Develop strategies to adopt behaviours required to embed Design Thinking in the culture. - Identify innovative ideas to problems faced and pitch these to management. The team gained a deep understanding of the value in applying Design Thinking to problems across talent development. 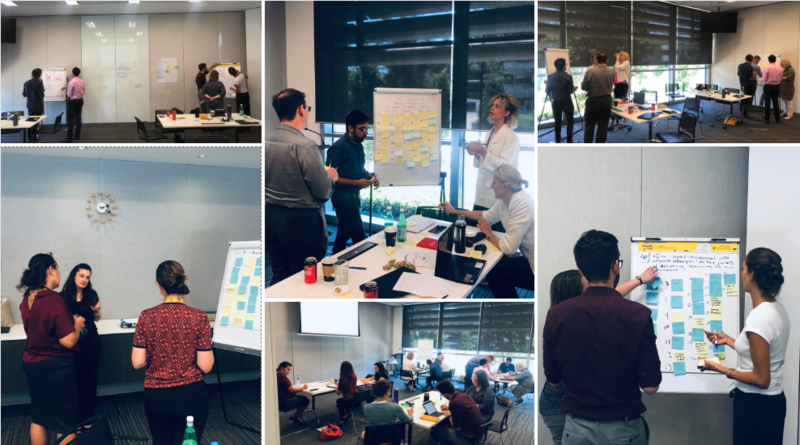 The course helped facilitate an end to end understanding of Design Thinking and provided the team with a key selection of tools to develop, prototype, and pitch their ideas. The processes and tools learned allowed participants to use Design Thinking to not only develop big new ideas, but improve things in their daily roles.